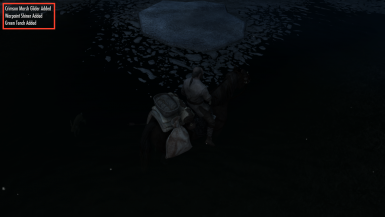 Patches that combine harvestables and items added by mods to the auto-harvesting and inventory management of Convenient Horses. You can use everything that was made by me in whatever type of project as long as you credit me, however much of this mod is based on other people's work. 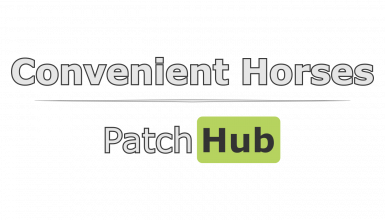 Welcome to CHPH, your place to get and request patches for Convenient Horses. 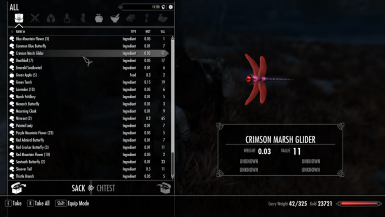 These mods fully integrates the auto-harvesting and inventory management capabilities of your horses with the harvestables (including butterflies and dragonflies) and items (spell books, scrolls, skill books, enchanted items, crafting stuff, etc.) added by mods. Feel free to report bugs and request patches for other mods! Convenient Horses natively support adding new items to its gameplay, but you have to register references to these items and activators (trees, flora, critters) to the appropriate FormID lists. 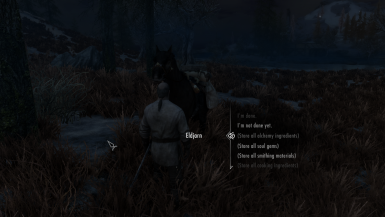 Once I filled the right lists with the correct values, both the auto-harvesting and item management (giving to and taking items from your horse based on their type) started to work with the new items (with no drop in performance). Each of these have a standalone version and a bunch of combined versions. Download the appropriate one for your load list! During my tests I was able to install different combinations of patches and changes always occurred immediately on my save games. So, I think this is safe to install mid-game (but please let me know otherwise). Some of these are still under investigation about whether or not compatibility is possible or even needed. I'm actively working on this mod, so they might be added really soon! Speaking of which, a fomod installer is on the roads, once I automate and organize a few things on my end (this is my first mod afterall). These changes will probably be shipped in parts with a few days inbetween. I got some nice free time and depending on the feedback I get on this, I'll really focus on it.